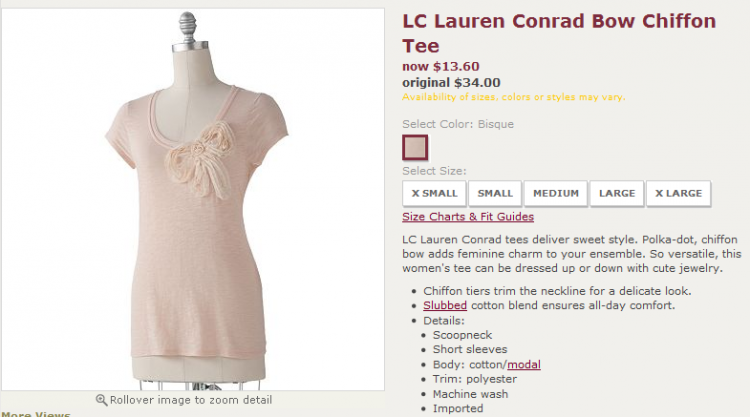 20% Off at Kohls! $0.99 Shipping Per Item! No minimum! Get 20% off ANY purchase with coupon code OCTFF20 at checkout! This deal includes clearance items! Code expires 10/16. They have a lot of cute tops for around $13 on clearance! With the 20% discount, they can be as low as $10! 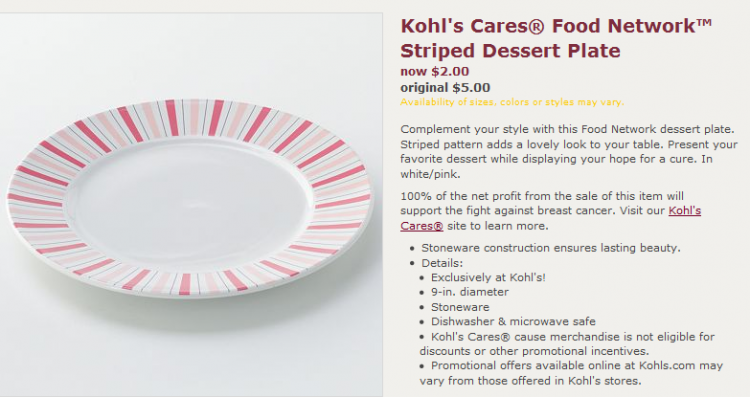 They also have lots of great home items, including these cute dessert plates, on sale for $2 each! With the 20% off, the plates come down to a mere $1.60! Also, through the end of today, shipping is just $0.99 per item!